Philip had just shared the Good News of Jesus Christ with this international guest. His heart was filled with thankful joy for the forgiveness of sins that the Savior won for even him. Tradition tells us he is the one who brought Christianity to his home country of Ethiopia. 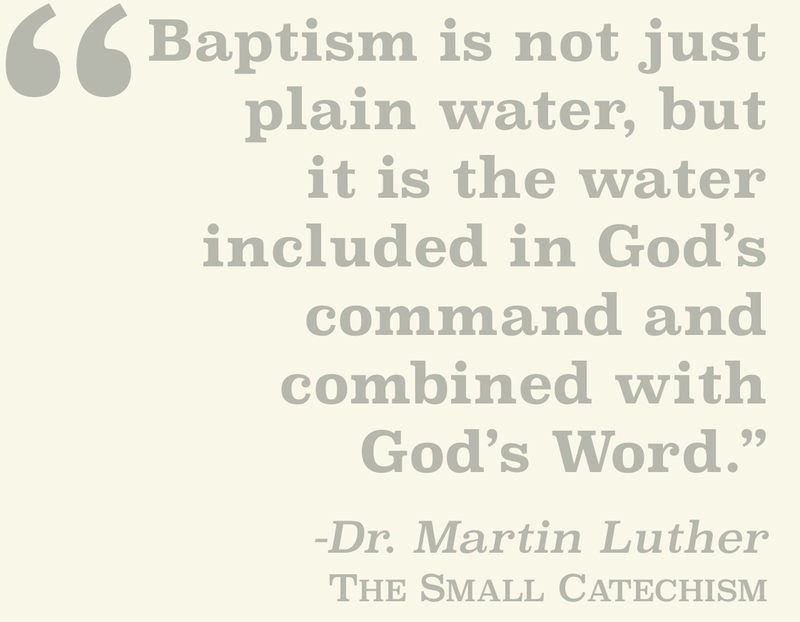 If you would like to receive this Sacrament of Holy Baptism, too, what hinders you? You're invited to talk to us about your interest in this wonderful blessing for all people. To line up a baptism for yourself or family member, please fill out the following information. We'd love to contact you and help in your preparation.